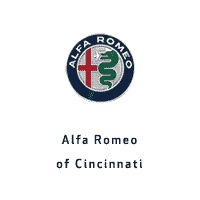 Alfa Romeo of Cincinnati in Cincinnati, OH serves the needs of each individual customer with premier customer service. We know that you have high expectations we finding your new Alfa Romeo and we enjoy the challenge of meeting and going beyond those standards each and every time. Allow us to prove our promise to excellence! Imagine yourself driving in your new 2017 or 2018 Alfa Romeo. Alfa Romeo has built some of the most stunning cars of all time. It has earned and sustained its place as one of automotive’s most revered names for over a century. We encourage you to learn more about our dealership, schedule a test drive and investigate financing options. You can also request more information about a vehicle using our online form or by calling 513-268-5166.